The product range comprises of a wide collection of medical instruments like safety suction handle, extension tubing, manual suction pump, laryngeal mask, stopcock, aerosol drainage bag, breathing system, tracheal tube etc. All these products are made as per the international quality standards. These gloves are ideal for gardening, dish washing, Food handling and in all forms of house cleaning. These gloves are available in medium and large sizes. Avaiable in sterile and non sterile. Packing : 1000 pcs per carton. These Disposable PE Gloves (Plastic Gloves) Are Widely Used In Hospitals and In Food Industry. It is available in Plastic and stainless steel. Packing : 24 pcs per carton. 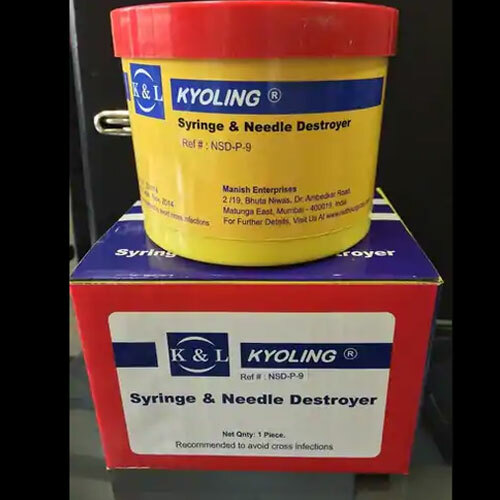 Syringe Needle Destroyer Plastic / Stainless Steel is designed to destroy the used disposable needles and syringe nozzle easily. It ensures that the health care workers are not required to touch the needle while disposing off the same at the point of use, thus providing an adequate safeguard against accidental pricks which may even result in loss of life. Economical, Sturdy, Simple to operate. 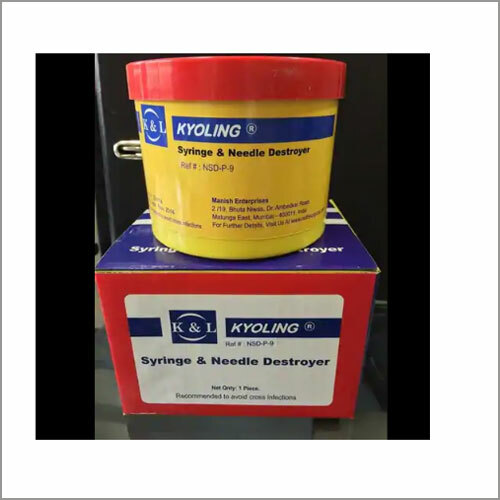 We are one of the leading manufacturer and supplier of Syringe Cutter Plastic. We obligated to meet the quality standards as per the customer demand.